This clever treatment helps to restore strong muscle and tone to the skin, giving you fantastic results for both body and face. 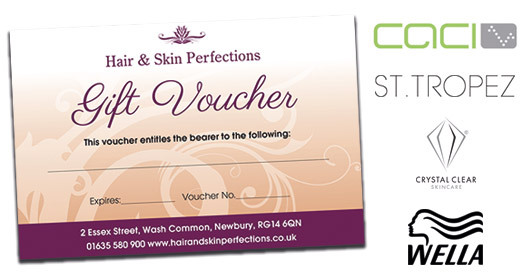 We offer CACI treatments in Wash Common at Hair and Skin Perfections beauty salon. The facial lift! How it works! As we become older the natural process of ageing starts to take place.This is shown by wrinkles, lines and a sagging in the skin. CACI very cleverly slows down and also improves damage already occurred. As we age, our facial muscle tone becomes weaker and these facial muscles start to drop. As a result the elasticity fibres of the skin start to break down and collagen starts to disperse from the skin, causing fine lines and wrinkles. 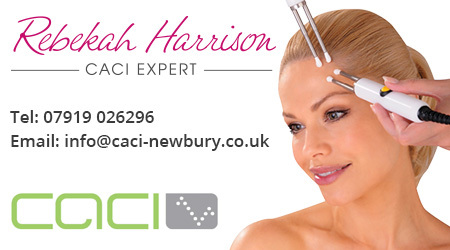 CACI very gently penetrates through the skin tissues, grabs the weak muscle and tones and lifts the muscle. This in return helps to tighten the elasticity fibres back together and prevents further collagen from dispersing. The body tone and sliming treatment! How it works! Ageing can also be cause for sagging body skin, but it can also be caused by pregnancy, or rapid weight gain or loss. In the same process as the facial treatment, the body treatment helps to strengthen weak and damaged muscle tissue, and also helps to break down fatty deposits and expel excess water retention, giving you a much firmer and trimmer feel and appearance. We recommend a course of 10 treatments for both face and body treatments, as best results are then achieved. After your inital course of 10, a treatment once a month is recommended. You might also be interested in Crystal Clear Oxygen Therapy or Microdermabrasion.